The Jumpking 14ft x 17ft OvalPOD trampoline is the largest one in the UK market. It is all the great features you would expect for a trampoline and it offers you an outstanding performance and an explosive bounce. Prepare yourself! This trampoline is ideal for a big garden as it is very spacious andf has been built for quality, size and performance, making it an awesome trampoline. 102 Heavy duty galvanised steel springs - 86 x 7" and 16 x 6.5"
Here at Trampolines UK, our objective as a supplying company is to deliver our customers outstanding products such as the mega OvalPOD. It is simply one of the best trampolines online for you and the family to have for any occasion. For further information regarding the 14ft x 17ft OvalPOD trampoline, call 0333 660062 to speak to one of our kind experts. 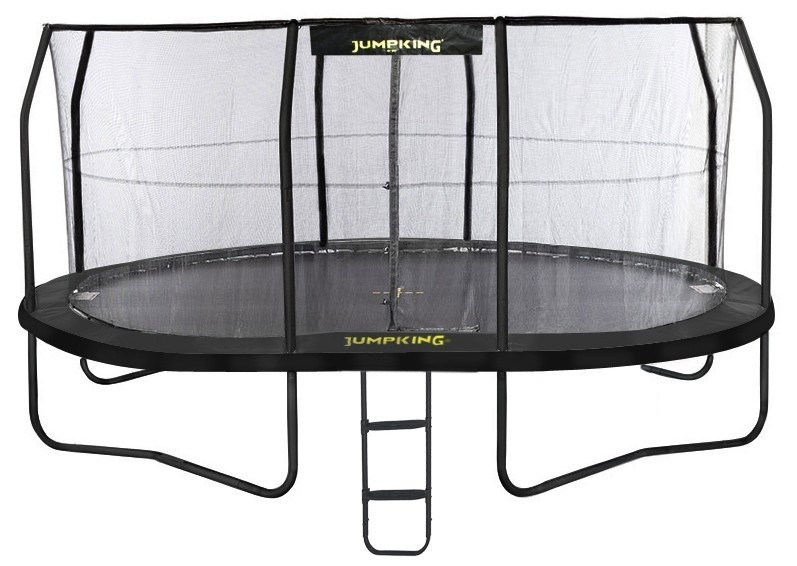 Trampolines UK – your local online trampolines for sale store.